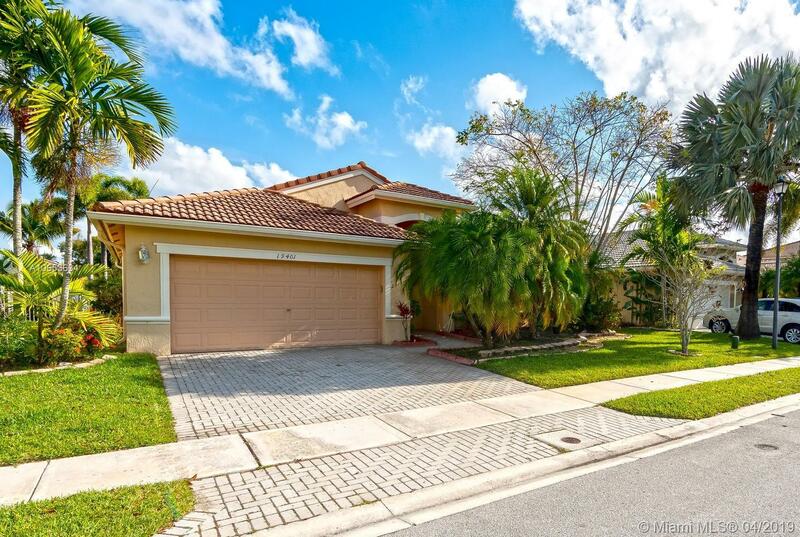 19401 SW 15th St, Pembroke Pines, FL.| MLS# A10653634 | Susan J Penn l Best Agent l Buy & Sell South Florida Homes! Located in the sought after gated community of Encantada, this 3 bedroom, 2 bath, waterfront home is full of potential and is the most competitively priced listing in the community! The home boasts a spacious two car garage, utility room, split floor plan, vaulted ceilings, cozy family room, and a sizable screened back patio. The community has plenty of guest parking, beautiful tree-lined streets, walking paths, pool, basketball court, tennis court, volleyball court, and a manned security gate. Donât miss this perfect opportunity! Directions: Main Entrance At 184 St Between Pines And Pembroke Road. Follow From The Entrance On SW 14th Street. Turn Left Onto 193rd Ave And Right Onto 15th Street Follow Until House On The Right Side.